Community Therapists has provided seniors with therapy services at home and within residential care/assisted living facilities for over a decade. Occupational and physical therapy services enable seniors to live as independently and as safely as possible in their home, community or residential care environment. Our Physiotherapists are skilled in assisting seniors with a range of issues including reduced mobility/balance, stroke, cardiac issues, fractures, chronic pain, dizziness and recovery after surgery. Physiotherapists provide exercises to improve or maintain strength, flexibility and physical function so seniors can avoid falls and move more freely in their homes and communities. Aids to assist mobility such as walkers and canes can also be fitted to facilitate safe mobility. Occupational Therapists can assist seniors with a range of issues including any medical conditions (physical or cognitive) that may reduce one’s ability to complete vital daily activities including self-care, home management or accessing the community safely and independently. Home medical equipment prescription (e.g. wheelchairs, bathroom safety equipment), strategies to access the community (e.g. HandyDART) and practical ways to more easily complete home management tasks are just a few of the benefits. OTs are also skilled at assisting seniors to navigate the healthcare system and can help develop community linkages to maintain social engagement which promotes overall health and well-being. Our services for facilities range from single consultation assessments to fully outsourced rehabilitation departments including occupational therapy, physiotherapy and rehabilitation assistant services. Our first step is to understand the needs of the facility, preferences, budget and resident profile. With this information a tailored proposal can be developed. In addition to OTs, PTs and Rehabilitation Assistants, we are also able to source and manage other personnel including Speech & Language Pathologists, Dieticians and Counselors as needed. Our team works closely with leadership, nurses and other staff to ensure our systems and processes integrate closely with those of your facility. 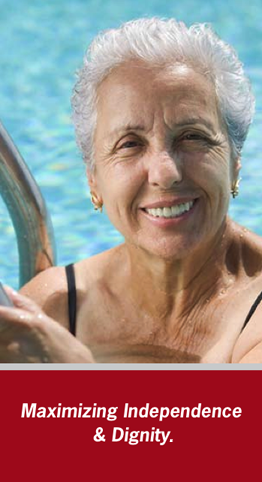 Click here for our eldercare brochure for facilities. Please call us at 604-681-9293 to schedule an assessment. We provide therapy visits on a fee for service basis and our invoices can be used to seek reimbursement from your health insurance or other funder. All major credit cards are accepted.